Tradebit is the international download marketplace on the web in English, German, Spanish and Italian. 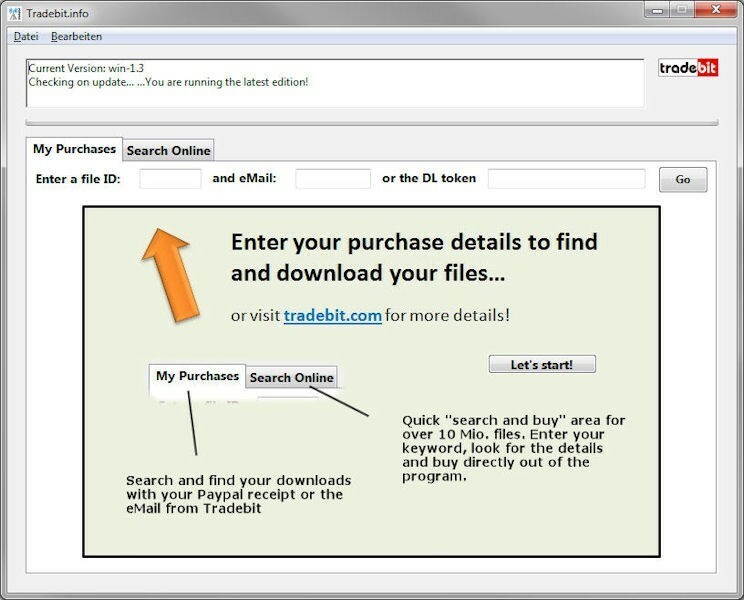 The Tradebit Download Manager v1. Tradebit is the international download marketplace on the web in English, German, Spanish and Italian. The Tradebit Download Manager v1.3 for Windows and Mac OS X enables you to find, buy and download from a catalog of millions of legal files and media sources. The huge download catalog includes over 7 Mio. actual MP3 files, updated once a week. Thousands of sound effects are available and a license is provided with each download and the tradebit catalog is fun to browse. The download fonts section is one of a kind. All files you find are described and fully legal to obtain. Tradebit partners with global media companies to bring you the best of downloads to your desk.